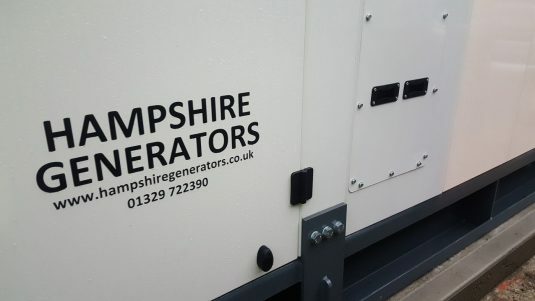 Hampshire Generators are proud to have been chosen to supply and install a Perkins powered 1000kVA Standby Diesel Generator for a Data Centre in Plymouth, Devon. Double output breakers – one per side of different ratings to supply two different automatic transfer switches. Stainless steel interconnecting pipework from existing 90,000 litre bulk tanks. Gravity fed system with fail-safe Belimo soleniod valve and high level vent. 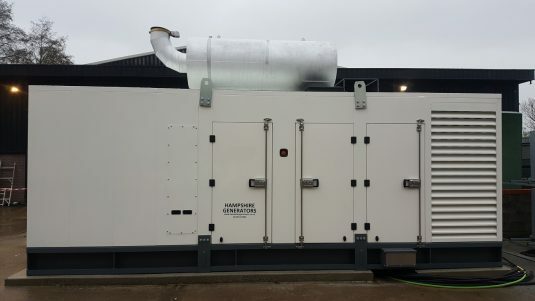 Full BMS connection with generator remote monitoring and control. Coolant Heater to ensure fast engine starting and immediate load acceptance. 1000 litre baseframe bunded fuel tank with leak detection. Fire-wire system with fuseable link (shuts fuel off in the event of a fire within the canopy). Shunt trips and ML5 trip units on each output breaker. The diesel generator was designed, manufactured and delivered to site on time and was commissioned ahead of the tight deadline. 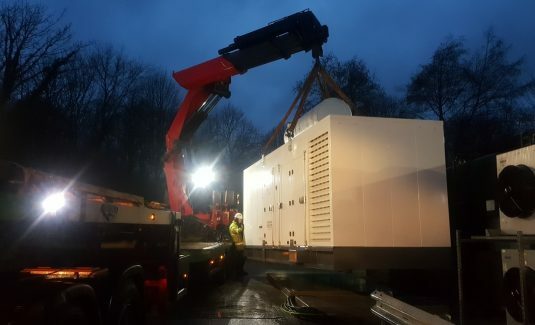 Due to tight site restrictions the diesel generator was delivered and offloaded by Fassi large / heavy hiab – an awesome vehicle with an expandable load bed and maximum lifting capacity of 30,000kg – our 14,000kg generator was no problem.